This awesome 23′ tritoon is equipped with a 150hp Honda four-stroke engine. Beautiful interior and seats, bimini top, custom cover, and large lifting strakes on the tubes. There is some cosmetic damage to the port side panel and rail. 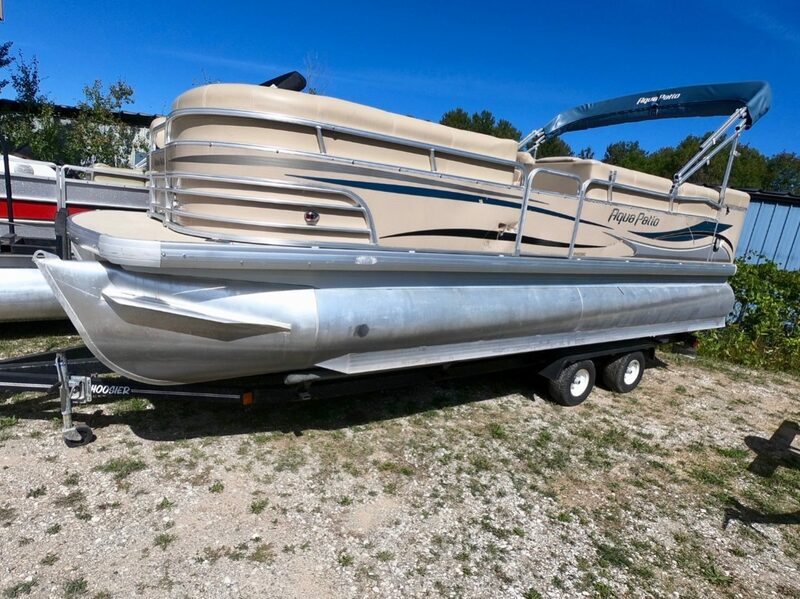 Performs well on the water, and is priced with the trailer!